If you enjoyed the recipe for Baked Lemon Pudding Cups and want to make another dessert in custard cups, here’s a recipe for Custard Cup Mini Banana Puddings. It’s basically a banana pie recipe divided into individual servings. 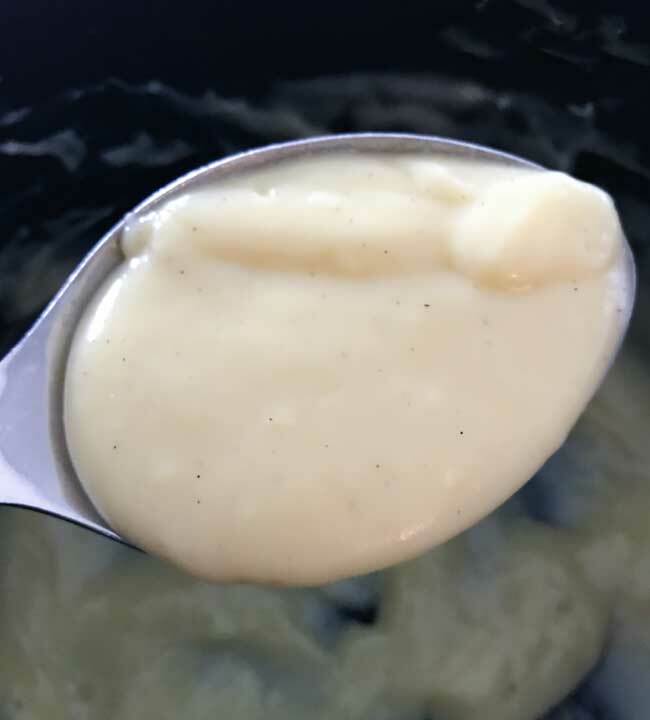 The recipe fills six custard cups, but you can even halve it if you just need 3 servings.The pudding is vanilla flavored (I used vanilla bean paste for this batch) and the banana flavor comes from fresh bananas. That is, if you use the bananas! 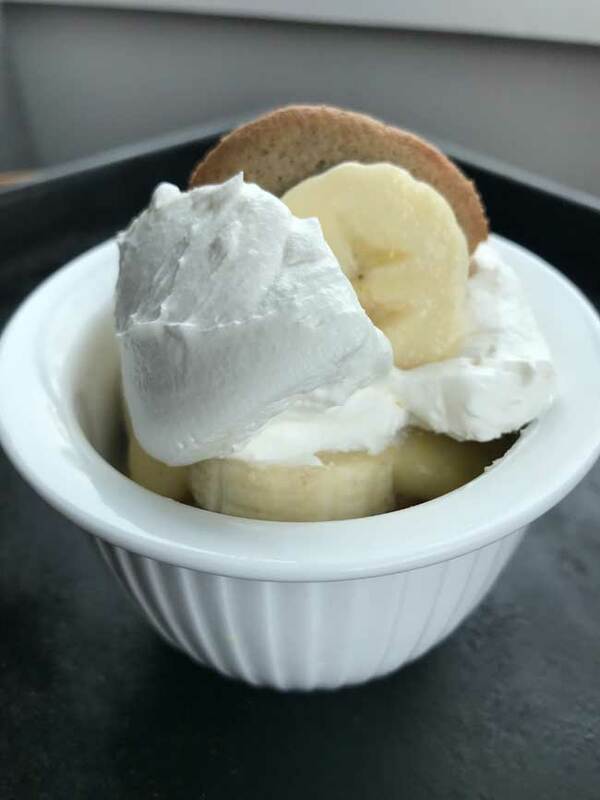 I made most of the Custard Cup Banana Puddings with bananas, but since my husband loves everything about banana pudding except the bananas, I left them out of his serving and used crushed pineapple instead. So if you’re not into bananas, you can make these as Custard Cup Pineapple Puddings. This is an easy recipe, but here are some quick tips. Whole milk is the way to go. The pudding is quick and easy to make, but the puddings do need a few hours to chill so that the wafers will soften. 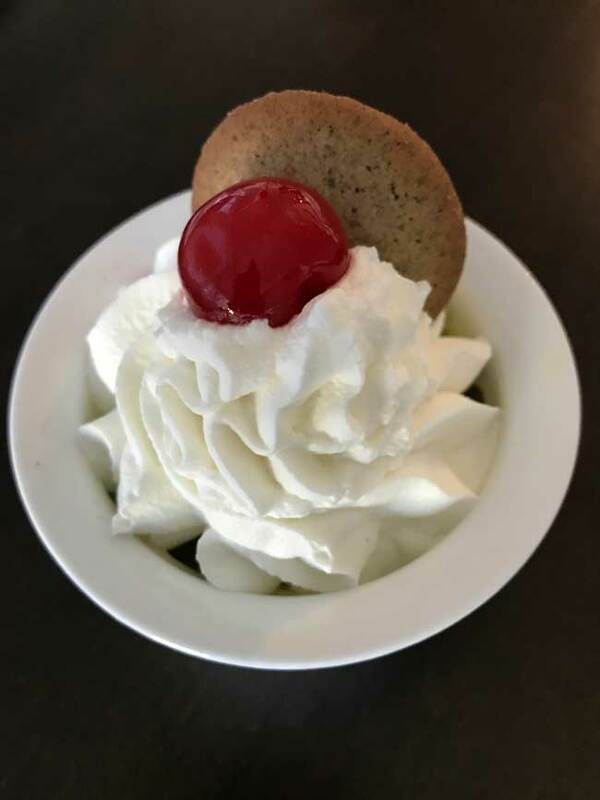 For the topping, freshly sweetened whipped cream is awesome, but you can use Cool Whip or squeeze whipped cream if you need to. Mini Custard Cup Banana Puddings made with milk and served in 6 oz custard cups. In a 3-quart saucepan (not yet set over heat), stir together the sugar, cornstarch and salt. Gradually add the cold milk, stirring until smooth. In a second bowl or in a large Pyrex measuring cup, whisk the egg yolks and keep the bowl next to the stove. Set the saucepan with the milk mixture over medium heat and cook until mixture simmers, stirring often. When mixture starts to simmer, spoon out about ¼ cup of the hot milk mixture and stir it into the egg yolks until smooth. Add the milk/egg yolk mixture back to the saucepan and continue stirring until mixture thickens and boils. Continue stirring and boiling (gently) for 1 minute. Remove thickened mixture from heat and add butter. Stir until butter is melted, then stir in vanilla. Let cool for about 10-15 minutes before assembling. Prepare custard cups. Lay a vanilla wafer on the bottom of each custard cup, then add two or slices of banana. Spoon a little less than 2 T. of the vanilla mixture over the wafers and banana, then repeat, but this time layer 2 vanilla wafers, more banana and about 2 t. of the vanilla pudding. Cover cups with plastic wrap and keep chilled until you are ready to make the cream. Note: Chilling will also soften the cookies a bit. To make the whipped cream, whip cream and sugar until stiff peaks form, then beat in the vanilla. Spoon on top of chilled banana cream pie cups. Thanks Lisa! I hope you get a chance to try the puddings. I love your recipes! Your blog is truly my favorite! I love anything banana and pineapple. Thank you!